I’m constantly looking for ways to increase clinical efficiency which can save doctor time and allow more revenue-producing exams. In an era where physicians must accept fees that are discounted and capped by insurance plans, efficiency is a key way for us to increase profitability. One way to save a lot of doctor time is to not see very many contact lens follow-up visits. Let me be quick to add that I’m not advocating that you stop doing contact lens follow-ups, only that you delegate most of them to a qualified optometric technician. To be clear, I’m referring to the short exams following a new fitting or a refitting, not the annual contact lens evaluation which also includes a comprehensive eye health examination. If you have some advance patient demand, this strategy would effectively replace a non-revenue patient visit with a revenue-producing visit. Many optometrists see two or three contact lens checks per day or more. This technique could conceivably produce a significant increase in practice revenue and profit. Begin by creating a separate provider in your appointment scheduler where most contact lens follow-ups will be scheduled. You could use a generic provider name like technician or contact lenses; that way, if you have more than one technician who is trained to do contact lens checks, the patient can be seen by whoever is available. These appointments should be on the same day that the doctor is also seeing patients under his or her own schedule. You should always follow state law and most states allow technicians to work under a doctor’s direct supervision. A complaint about the contact lenses. Visual acuity that is worse than expected, based on the fitting exam. Any sign of redness, edema, corneal distortion, discharge or any insult to normal physiology. A lens that does not fit well. Most contact lens patients are doing quite well at the one week follow-up, so it should not be very often that the tech needs to consult with the doctor or have the doctor examine the patient. It is best if the OD is flexible and fast enough to be able to handle an occasional additional patient without usually running behind schedule. Quite often, the doctor can decide on the treatment plan and the technician can carry out additional diagnostic lens work or patient education. Of course, there will be some types of cases where the doctor will still want perform to follow-up visits and those will just be appointed as usual. Basically, your tech will perform the same tests you would do. You will train your technician on any examination techniques that she is not familiar with, such as possibly the slit lamp exam and over-refraction. Over-refraction (in most cases, this will be with spheres only so this is an easy test for a technician). Slit lamp examination and evaluation of lens fit. 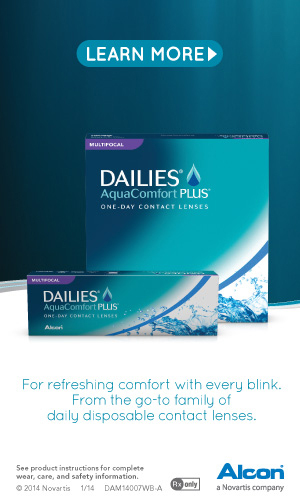 Contact lenses have evolved to a point where most fittings are extremely successful and the follow-ups are routine. Those are ideal for your technician to handle. In my experience, patients are perfectly happy with this arrangement as long as the doctor acts confidently about it.